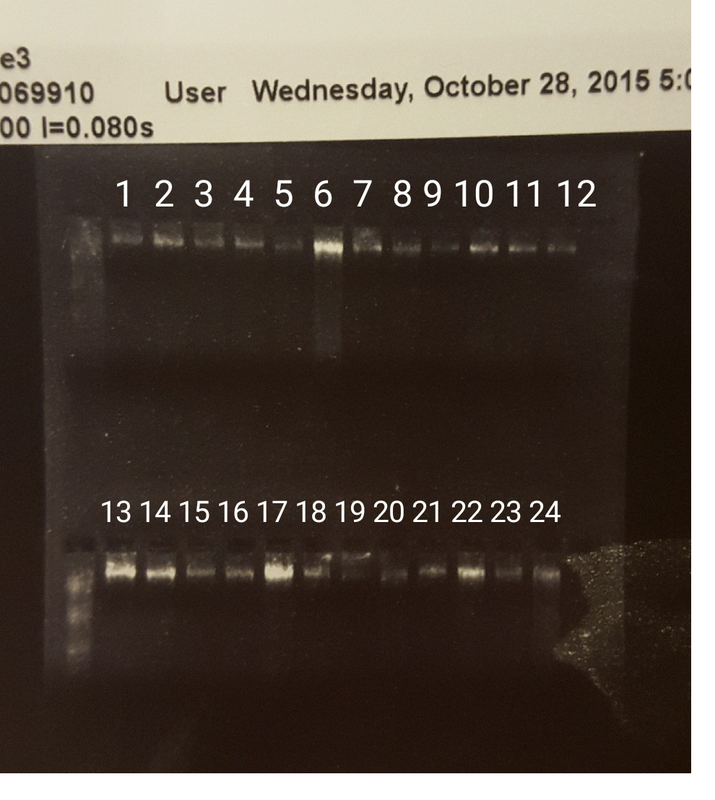 Gel extracted 2b-rad PCR samples from Wednesday 10/14/15 using the Qiagen Gel Extraction Kit. 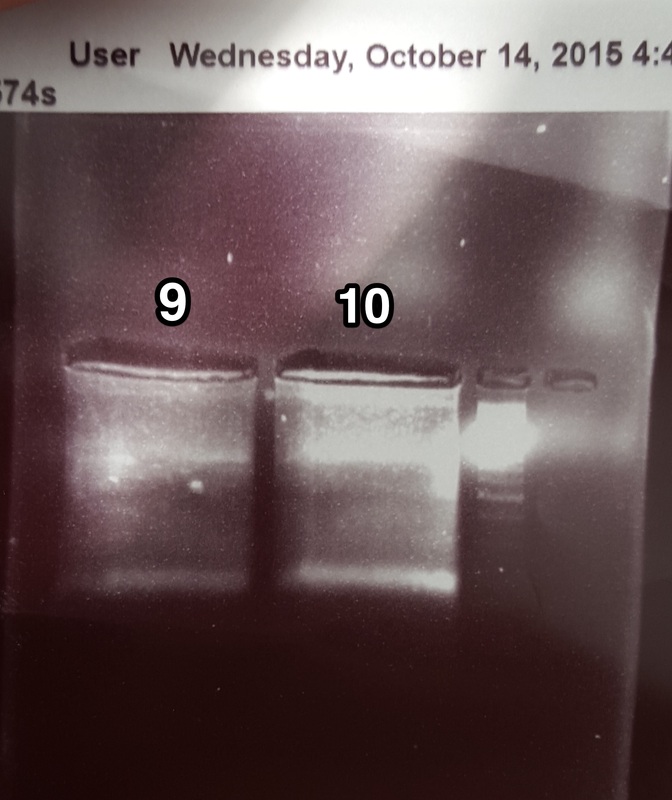 Incubated 40 uL of elution buffer on the column for 5 minutes. 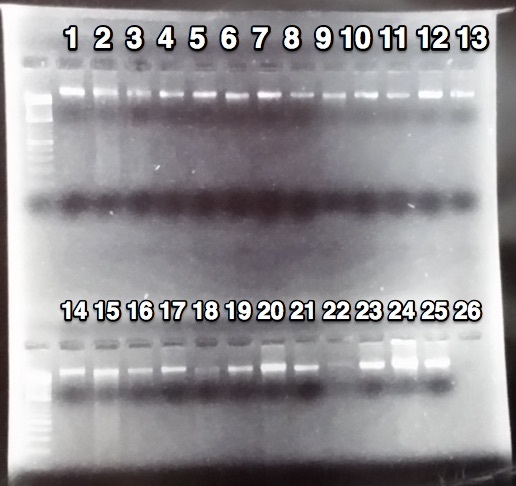 Decided that going forward I would run PCR product out on a low melt gel and use gelase instead of the kit to save time/money. Quantified gel extracted samples with High Sensitivity Qubit. Multiplied 37 uL by the lowest concentration to get ng per sample to add to pool, then calculated how many uL of each sample to add to pool. 37 * .373 = 13.8 ng. 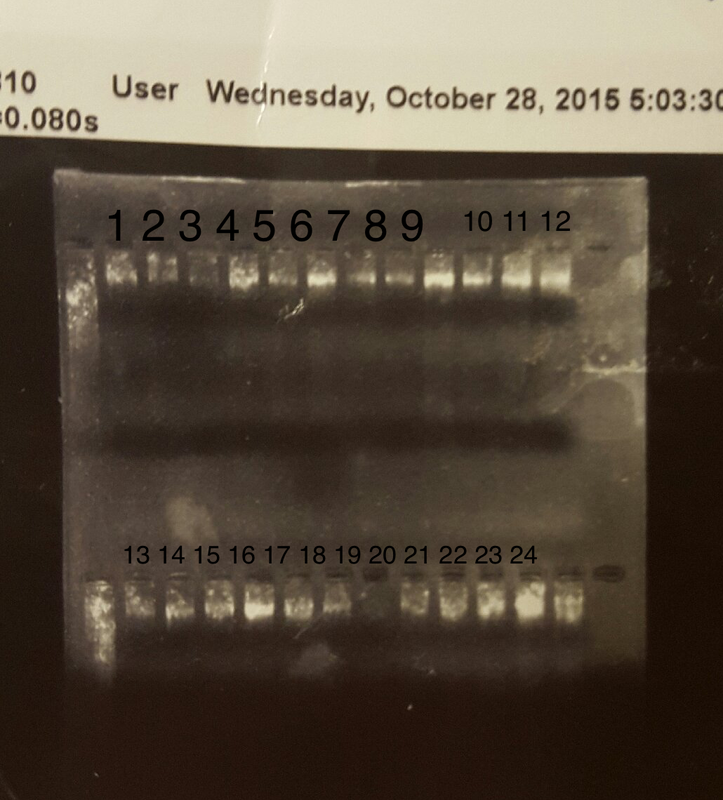 Quantified broodstock samples that were extracted 8/19/15 and 9/11/15 with Qubit and ran out gel. Concentrations in ng/uL are below with score of quality based on gel. 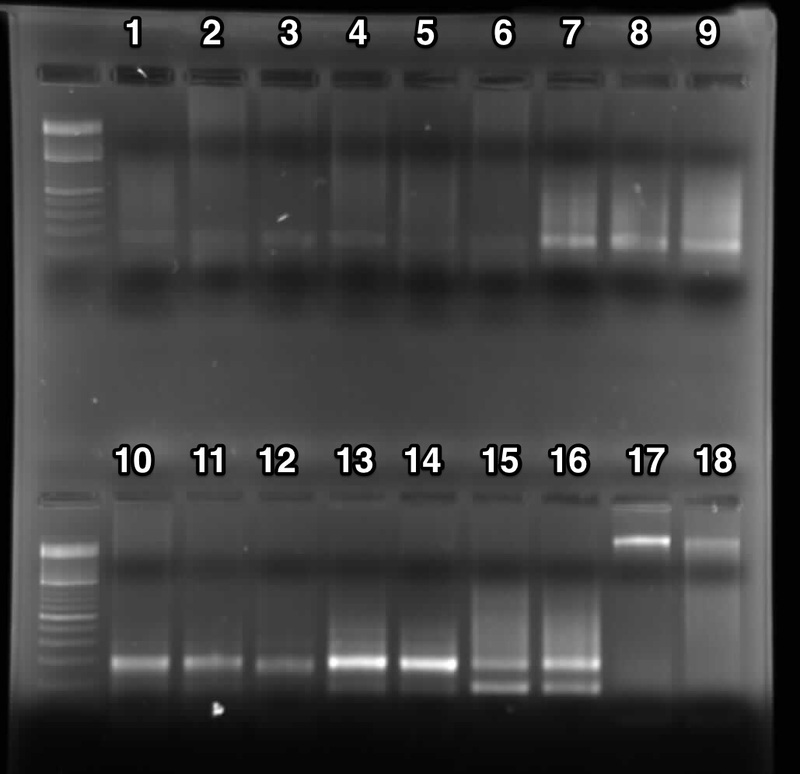 Ethanol extraction of 10 broodstock DNA samples to prepare for test 2b-RAD library, following this protocol. 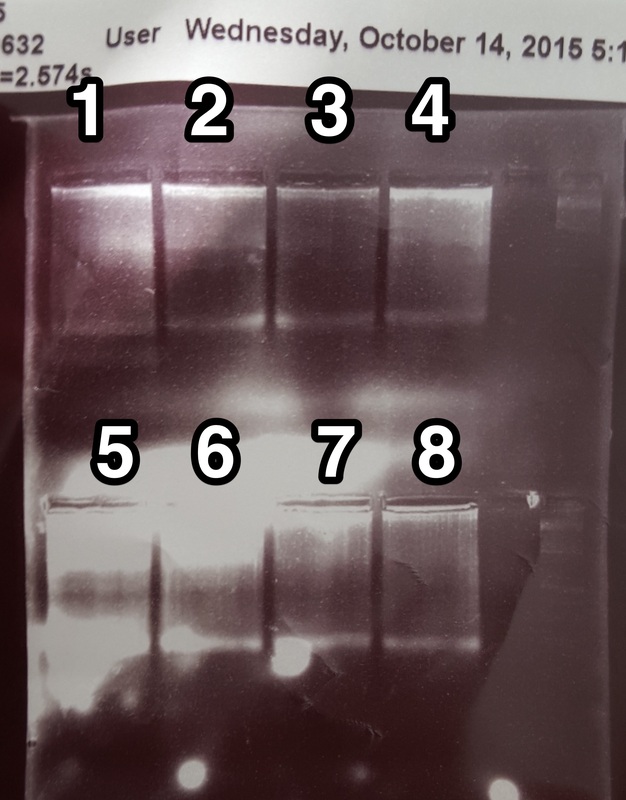 After drying samples for ~10 minutes at 37degC in a Centrivap Concentrator, I added 10 uL of nuclease-free water and left to rehydrate in 4degC fridge.